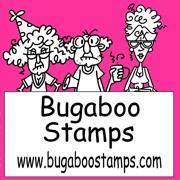 Greetings friends, welcome to Retarte 92, and a fun project brought to us by Bugaboo Stamps. I decided to use Margaret for my project. 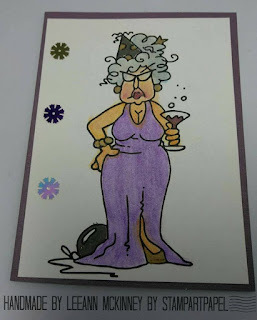 Margaret had quite a bit of fun at the New Years party last year, and is very much looking forward to this years party as well. For my project I printed and colored using colored pencils. I used a Metallic Gold Sharpie to color some, and a Black Wink of Stella as well. Finishing it off with a few sequins down the side my project was complete. I hope you enjoyed my project, and am looking forward to seeing what you have made for the challenge. Please have a safe and healthy holiday season. What a fun New Year's Eve card! That image just makes me laugh! !